We will pick you up from your hotel in Dahab then transfer to Sharm airport to fly to Cairo, arrive in Cairo airport then transfer with your guide to admire Saqqara, it is one of the enormous necropolis in Ancient Egyptian where the world renowned Step pyramid of king Zoser as well as several mastabas tombs and other Pyramids. Continue to Memphis, the former capital of the unified Egypt 3100 BC, it has been established by king Menes. Now there is an open air museum on the same site of this ruined city, the colossal statue of Ramses II is the highlight. Proceed to explore Giza Pyramids which are one of the 7 wonders of the ancient world, visit the Pyramids of Cheops, Chephren & Mykerinus then stop at the Sphinx with pharaoh mask and lion body, also visit the Valley Temple of Chephren then transfer to hotel and overnight in Cairo. Pick up shortly after breakfast in hotel then drive to visit the Egyptian Museum, famous for being the world busiest museum of Egyptian antiquities, about 160,000 pieces that cover about 50 centuries of history including the amazing treasures of King Tutankhamen. Continue to the Castle of Saladin and Mohammed Ali Alabaster Mosque which is pure Ottoman style modeled after the Blue Mosque in Istanbul. proceed to explore the Christian heritage in Coptic Cairo around the ruined Babylon fortress, wander the Hanging Church, Abu Serga Church then relish an afternoon shopping in the oldest covered oriental market of Khan El Khalili Bazaar. 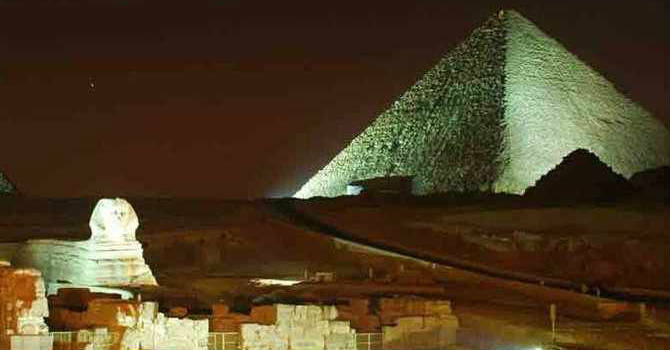 Evening transfer to Cairo airport then fly to Sharm El Sheikh and drive back to your hotel in Dahab.